SS 317L Round Rod, Stainless Steel 317 Round Bar Manufacturer, SS 317/317L Round Bar/Rod Exporter In Mumbai. Stainless Steel DIN 1.4449 Round Bars, Stainless Steel 317 Rods / Bars Exporter, 317 SS Bars, Stainless Steel UNS S31700 Rod, SS 317 Round Bar Supplier, Stockist of SS 317 Round Rod In Mumbai, Stainless Steel 317 Round Bar Manufacturer India. Stainless Steel 317/317l Round Bar is higher in demand the acclaimed manufacturers are fulfilling it well. Skytech metal, an acclaimed manufacturer, exporter and supplier is doing it well with their best quality and top grading manufacturing. The product is non magnetic and it is corrosion resistant. On the other hand, it is fair conductive to electricity and temperature. The melting point is too high so it won’t be setting any trouble. On the lowest temperature, it is hardest product and it has many properties like elongation, higher tensile strength and the density is too high. These are the reason behind calling this manufacturing as the best. Even all the products are available at reasonable prices. Well, the sizes requirement depends on customer and we don’t let our customer feel down as all the sizes and diameters are available. You can get dimension like EN, DIN and many other. The standard dimensions are ASTM A276 and A479. The grading of steel is A317 and it is also available in 317I grading. The density, tensile strength, yield strength and hardness offered by Skytech makes it leading manufactured, Supplier and Exporter. There are many finishes available for the need. Want to get SS 317/317l Round Bar? Well, it is also available for the choice in many finishing. All the products are tested and go through an inspection before delivering it to customer. Even we are offering you the test reports to get the best material and the right grading to get the ideal of durability. 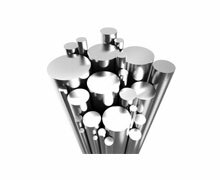 317L Stainless Steel Round Bar, SS 317L Round Bar Supplier, 317L Steel Round Rods Stockist, SS 317L Rods / Bars Exporter In India, SS UNS S31700 Round Bar, SS DIN 1.4449 Round Rods Manufacturer, SS 317L Rods Supplier In Mumbai, India. SS UNS S31700 Round Bar / Rod Exporter in India, Steel UNS S31700 Rods Stockist In Mumbai, Stainless Steel 317 Bars Stock, SS Round Rod Dealer, ASTM A564 SS 317L Round Bars Supplier In India, Stainless Steel 317 Round Bar Exporter, ASTM A582 SS Round Rods Supplier, SS DIN 1.4449 Round Bar Supplier, ASTM/ASME A276 Steel Round Bars Stockholder, Stainless Steel 317L Round Rod Manufacturer, SS 317/317L Round Rod, SS 317 Round Bar Manufacturer, 317/317L Stainless Steel Round Rod Supplier, 317 SS Round Rod / Bar, ASTM A276 317L Stainless Steel Round Bar Exporter, Stainless Steel 317 Round Bars. Edmonton, Jakarta, Rio de Janeiro, Port-of-Spain, Jaipur, Santiago, Los Angeles, Secunderabad, Noida, Dubai, Indore, Haryana, Thiruvananthapuram, Houston, Sharjah, Karachi, Granada, Singapore, Kanpur, Nagpur, Aberdeen, Dallas, Busan, Ulsan, Pimpri-Chinchwad, Chandigarh, Al Khobar, Thane, Algiers, Chiyoda, Ranchi, Istanbul, Visakhapatnam, Colombo, Nashik, Geoje-si, Ahvaz, Pune, Gimhae-si, Lahore, Abu Dhabi, Kuwait City, Surat, Doha, Faridabad, Sydney, Toronto, Ankara, Milan, Mumbai, London, Dammam, Brisbane, Bangkok, Rajkot, Moscow, Ahmedabad, Cairo, Caracas, Seoul, Perth, New York, Tehran, Hanoi, Jamshedpur, Hyderabad, Atyrau, Ludhiana, Bogota, Jeddah, Ernakulam, Bhopal, New Delhi, Baroda, Navi Mumbai, Manama, Muscat, Petaling Jaya, Kolkata, Al Jubail, Mexico City, Lagos, Courbevoie, La Victoria, Gurgaon, Bengaluru, Madrid, Kuala Lumpur, Vung Tau, Melbourne, Riyadh, Coimbatore, Hong Kong, Montreal, Ho Chi Minh City, Howrah, Vadodara, Calgary, Chennai. Oman, Ghana, Qatar, Canada, Iran, France, Spain, Belarus, Namibia, Bangladesh, Japan, Lebanon, Turkey, Chile, Serbia, Macau, Iran, Estonia, Germany, Algeria, Kuwait, Saudi Arabia, Morocco, Ecuador, Azerbaijan, Singapore, Afghanistan, Finland, Denmark, Poland, Nepal, United Arab Emirates, Argentina, New Zealand, Peru, Bolivia, Egypt, Taiwan, Nigeria, Romania, Vietnam, United States, Libya, Bhutan, Mexico, Mongolia, United Kingdom, Lithuania, Ireland, Colombia, Iraq, Venezuela, Ukraine, Hungary, Thailand, Switzerland, Norway, Puerto Rico, Czech Republic, Greece, Netherlands, Gambia, Kazakhstan, Yemen, Indonesia, South Korea, Trinidad & Tobago,Tunisia, Poland, India, Gabon, Malaysia, Croatia, Brazil, Hong Kong, Chile, Jordan, Angola, Philippines, Portugal, Nigeria, Austria, Pakistan, Bahrain, Sri Lanka, Sweden, Costa Rica, Zimbabwe, Mexico, Belgium, Bulgaria, Slovakia, Israel, China, Tibet, Italy, Australia, Russia, Kenya, South Africa.